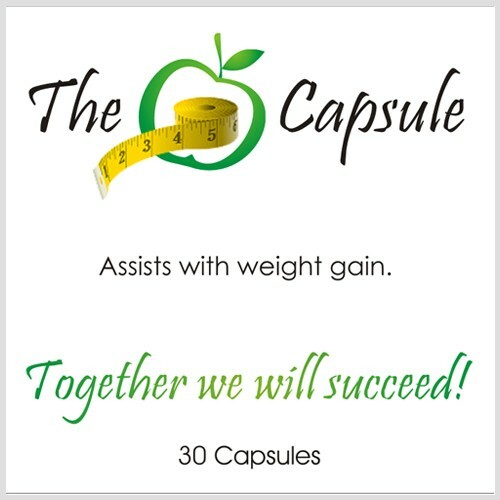 The Capsule Assists with Weight Gain. 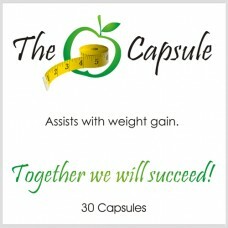 When I was first asked to create a product to assist with weight gain, some 15 years ago – I was insulted! I ran a weight loss clinic! After my own struggle with weight, why would I bother with a weight gain product? That’s when I understood the concept of a product that stimulates lean muscle gain. You see many of us think to gain muscle we need to go to gym and pump some iron, Right? Wrong! Weight training is a destructive activity. It tears muscle fibres, stretches tendons and ligaments and stresses your nervous system, making you more susceptible to illness and interfering with your body’s ability to repair itself. Contrary to popular belief, you do not build muscle while your body is at rest. If your immune system is suppressed, repair will be delayed and muscle growth will be put on the back burners. I am really old fashioned when it comes to this sort of thing. I believe if a product works it will work synergistically and on various levels to maximize benefit for the user. Let’s see how Supplement WG works to assist with lean muscle gain for you. 1. It assists with stimulating constant muscle motion thereby minimising gym time. Supplement WG contains our muscle toners. These assist in stimulating constant micro motion of skeletal muscle. This is muscle attached to bone. This happens by stimulating the Calcium and Magnesium channels of the skeletal muscle. This constant micro motion is like being in a gym 24hrs a day, irrespective of whether you have time or not. In addition to this, because we are causing micro motion we are in fact not subjecting the muscle to the trauma of breakdown which occurs during resistance training. 2. It provides the muscle with everything it needs to stimulate its repair and growth, irrespective of the diet. To perform muscle building, your body needs proper ingredients. Amino acids in proteins are obviously the essential building block of muscle but they must be available in a form that can also fuel the process of muscle building. Supplement WG contains the right combination of amino acids to build muscle as well as fuel the muscle building process. The addition of a key combination of vitamins and minerals allows the body to take in the raw materials for muscle growth in record time. It is common knowledge that to build lean muscle mass we need to sleep. This is because natural healing only occurs during periods of sleep. Supplement WG contains supplements of natural extract which stimulate and maximize the repair and building of lean muscle mass during times of rest. How do I take Supplement WG?